You’ve been reading great guest blog posts every month this year from historian Karen L. Cox, author of Dreaming of Dixie: How the South Was Created in American Popular Culture. This month we wanted to highlight some of the great things Cox has been up to since the book was published last May. Cox is active on Twitter (@SassyProf), Facebook, and at her new blog, PopSouth, so you can keep in touch with her wherever you happen to be active yourself. On the road, Cox has been fostering engaging discussions about southern culture—as it is and as it is imagined—with audiences at bookstores, museums, libraries, and universities. (You can catch her at the Southern Festival of Books tomorrow in Nashville!) In Kansas City, she was toasted at a reception serving (what else?) 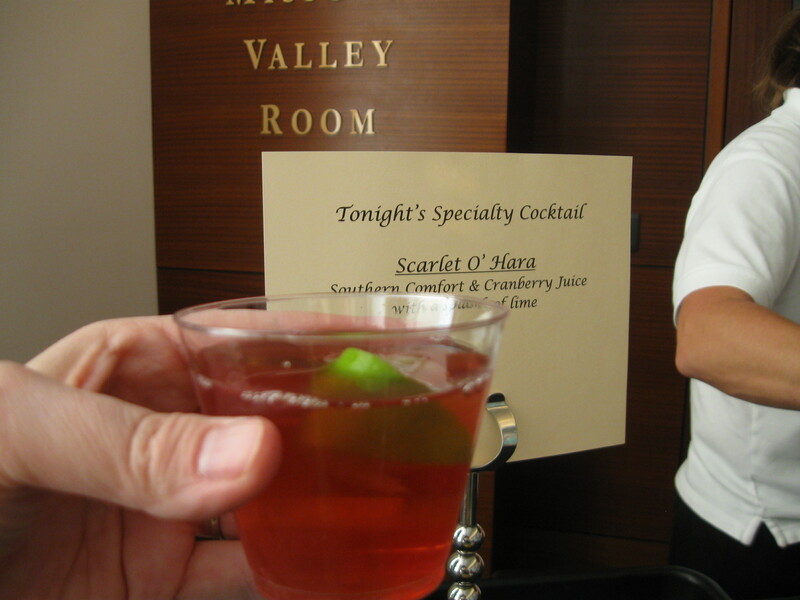 Scarlet O’Hara cocktails. One particularly enriching response to her book came from a group of artists whose work was presented in a recent exhibit at The Fire House Gallery in Louisville, Georgia. “Dixie Icons: Re-Visioning the Dixie Myth” featured the work of 25 contemporary artists responding to historical images of the romanticized South by creating new works that challenge and re-envision those images. Go to the exhibit link to view the spectacular new prints these artists created. You can also see videos of one of the artists discussing her approach to the project and of Cox discussing how she came to write Dreaming of Dixie. Cox was also interviewed by C-SPAN’s Book-TV as part of their LCV Cities Tour. Here she discusses romanticized presentations of southern culture from the past that persist today, from Gone with the Wind to Designing Women to a recent television commercial for Butterfinger Snackerz candy. Share argues for broadening popular culture representations of the South to include the diversity of cultures and viewpoints that now thrive in the region. The upcoming Democratic National Convention being held in Charlotte next year presents and opportunity to widen the scope on the South and see the South’s reality today. If you haven’t yet read Dreaming of Dixie, you can order it now and get 20% off as part of our Southern Gateways sale! Fill up your shopping basket with $75 worth of books and the shipping is on us!